This East Tennessee Historical Society exhibition explores the history of Great Smoky Mountains National Park by investigating the changing relationship between the land and the people. The exhibit is in conjunction with the year-long celebration of the 75th anniversary of Great Smoky Mountains National Park. The Great Smoky Mountains National Park exhibit is one of the more than two dozen sections that comprise of Voices of the Land: The People of East Tennessee, the new, multi-million dollar signature exhibition of the East Tennessee Historical Society. The exhibition explores the history of the Great Smoky Mountains National Park by investigating the changing relationship between the land and the people through stories of early park boosters, the mountain people who originally owned the land, as well as the tourists who came and continue to come to marvel at the beauty of the mountains. Visitors to the exhibit will be able to view original artifacts, including one of Wiley Oakley’s original sculptures, Mini-ha-ha; and the chair President Franklin D. Roosevelt sat in for the park dedication. There’s also a digital video album displaying historic images and footage that highlight the people and places of the Smokies. Voices of the Land: The People of East Tennessee is an 8,500 square-foot exhibit at the East Tennessee History Center, which is located within the 1874 Old Custom House in downtown Knoxville. The exhibition utilizes more than 500 artifacts and more than 350 voices from East Tennesseans to tell the compelling history of the 35-county region. Voices of the Land has been designated a “We the People” project by the National Endowment for the Humanities for its incorporation of local history into the national story. Admission is $5.00 for adults; $4 for seniors; and free for children under 16 and accompanied with an adult; ETHS members free. For more information call 865-215-8830. As part of the year-long celebration of the 75th anniversary of Great Smoky Mountains National Park, the Knoxville Museum of Art will open Higher Ground: A Century of the Visual Arts in East Tennessee. Throughout 2009, the museum will be celebrating the art and artists of Knoxville and the surrounding region. More than 60 works by a select group of the most celebrated artists with ties to the Smoky Mountains will be on display. Highlights of the exhibit include works by Catherine Wiley and Lloyd Branson, pioneering artists who introduced Knoxville audiences to Art Nouveau, Impressionism, and other international art movements of their day; Joseph and Beauford Delaney, two of America’s most significant African-American artists; and works from the 1950s and 1960s by the Knoxville Seven, a group of progressive artists connected to the University of Tennessee who transformed and energized the area’s artistic climate. More recent art includes mixed-media objects by visionary sculptor Bessie Harvey along with a selection of works by leading area artists whose creations represent the quality and diversity of art-making in the region today. Higher Ground: A Century of the Visual Arts in East Tennessee will be on display throughout 2009. The Knoxville Museum of Art is located at 1050 World's Fair Park Drive in Knoxville and is open Tues, Wed, Thurs, Sat from 10 a.m. - 5 p.m., Fri. 10 a.m. - 8 p.m., and Sun. 1 - 5 p.m. Admission is free for members, and $5 for non-members. The idea behind the program is to complete every mile of trail in the Smokies over the course of the 75 day hikes. Hikers have the option of partaking in any number of hikes throughout the year. For the more ambitious hikers wishing to complete the entire program, thus covering all 1069 miles during the 75 hikes, will the added benefit of becoming a member of the 900 Miler Club, an elite group of folks who've hiked all the trails in Great Smoky Mountains National Park. Save up to 70% on thousands of items from Amazon during their year-end deals and bargains sale. Find huge discounts on anything from electronics, cell phones, cameras, and apparel, to toys and books. Many items are eligible for FREE Super Saver Shipping! I received my copy of the winter issue of "Smokies Guide" the other day. There are a couple of news items and upcoming events I thought that you might be interested in. As many of you already know, this has been a highly active year for aggressive bears in the Smoky Mountains. Several campsites and shelters were closed for several weeks at a time during the summer and fall. Several hiking trails had aggressive bear activity warnings posted on them as well. At one point, bears dared to enter public restrooms in popular picnic areas. One bear even learned how to tip over and break into “bear-proof” dumpsters at one of the picnic areas on the Tennessee side of the park! Park Service staff were forced to employ chains and posts to secure the dumpsters in order to thwart the bears. In the end, however, the Park Service had to live-trap and relocate five bears to a different area of the park. Biologists can't explain the unusual bear behavior since there appeared to be plenty of natural food available during most of the year. National Park crews completed emergency stabilization of 18 historic summer cabins and the Appalachian Clubhouse in the Elkmont area this past fall. The park hopes to fully restore all 19 structures so they can be viewed by the public. At this time there is no indication when this will be completed. The vegetation management team in the Smokies was rewarded with special funding to hire an additional team to fight invasive plants. The crew will focus efforts on the North Carolina side of the park. They will be in charge of helping to eradicate non-native plants like kudzu, English ivy, Oriental bittersweet and privet over the next three years. They will also be helping to save the eastern hemlocks on the NC side as well. Wilderness Wildlife Week will be held from January 10-17 in Pigeon Forge and in the Great Smoky Mountains. The free event includes a variety of hikes, field trips, workshops and demonstrations related to the natural and cultural heritage of the Smoky Mountains. For more information, visit http://www.mypigeonforge.com/ or call 865-429-7350. Mapping the Mountains: The Photographs of George Masa. This is an exhibit examining the photography of George Masa at the Asheville Art Museum from February 6 - June 7. Masa was known as "the Ansel Adams of the East". Many of his photographs were used to promote the idea of preserving the Smokies as a national park. 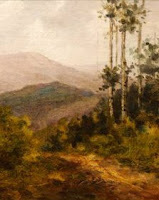 For more information, visit http://www.ashevilleart.org/ or call 828-253-3227. The 2009 Midwinter Bald Eagle Survey is about to begin again, and the U.S. Army Corp of Engineers is looking for volunteers across the country to participate in the count. 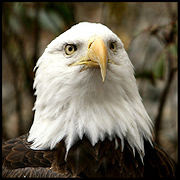 Each January, several hundred individuals count eagles along standard, non-overlapping survey routes. The purpose of the count is to monitor the status of bald eagle wintering populations in the contiguous United States by estimating national and regional count trends, both overall and by age class. The 2009 Midwinter Bald Eagle Survey will be held from Wednesday, Dec. 31 to Wednesday, Jan. 14 with target dates of Jan. 9-10. For those of you in Tennessee interested in participating, the state coordinator for the survey is Scott Somershoe. He can be reached at Scott.Somershoe@state.tn.us or by phone at 615-781-6653. This is the 30th anniversary of the Midwinter Bald Eagle Survey. Data is reviewed each year, incorporated into population trend analysis, and updated every five years. It is available at the MBES web site: http://ocid.nacse.org/nbii/eagles/. There you will find population trends for all regions and states, including Tennessee. What got left off your Christmas list this year? Every year there’s always something that you really wanted for Christmas, but Santa didn’t bring for one reason or another. Or, maybe you received an Amazon Gift Card this year and you’re just looking for a few ideas on what some of the hottest gifts are this season. Maybe you were really hoping for an iPod this year. Check out the 120 GB iPod Classic, which holds up to 30,000 songs, 150 hours of video, 25,000 photos, or any combination. You can discover new music, movies, TV shows, games, audio books, and podcasts from the iTunes Store. You can even rent a movie and watch it on the go. You can save $20 by purchasing from Amazon. Click here for more information. Maybe you were looking to make and play your own music. Check out the new Wii Music from Nintendo, one of the hottest gifts of the year. Unlike other music games, which penalize players if they don't play perfectly, Wii Music is a musical playground where there are no mistakes. Here anyone can pick up and master more than 60 instruments using simple motions like strumming and drumming. Musicians in your band jam by simply playing their instruments to the beat of a song or by improvising to their heart's content. You can even play and record solo as well. Click here for more information. Staying on the music theme, did you know that Neil Young just released a new album? 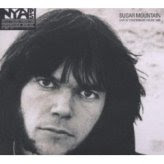 Sugar Mountain - Live At Canterbury House 1968, is the latest installment in the continuing Neil Young Archives Performance Series. One of the greatest singer-songwriters in rock history is heard solo and acoustic on this album. This set contains a CD featuring 14 tracks, a DVD disc including a high resolution audio mix of the album plus a five minute trailer for the archives set. There’s some funny and interesting banter between songs along with Neil making some anecdotal comments about some of the songs. At one point he even takes requests from the audience. With this CD you get to hear the entire show from beginning to end. Please click here for more information. Perhaps you were hoping to receive the recently released Dark Knight movie on Blu-ray or DVD this Christmas. By clicking onto our Dark Knight store on Amazon you can find The Dark Knight on DVD, Blu-ray, and special editions (plus other Batman-related products). Find discounts of 25% to 50% off most items. Click here for more information. Maybe you’re just looking for a good book. As you’ve probably already heard, Les Stroud, host of the TV show “Survivorman” on the Discovery Channel, recently announced that he is retiring from the popular series. He has also just released a new book called “Survive! : Essential Skills and Tactics to Get You Out of Anywhere - Alive“. Stroud has also recently released the Survivorman: Collection 2 DVD. This is the full collection of episodes from the second season of the series. As a bonus, the DVD producers also added Stroud’s “Surviving Alaska’ special. Of course you can save up to 70% on thousands of items on Amazon during their year-end deals and bargains by clicking here. Tomorrow is the biggest game of the young college basketball season. Tomorrow, on CBS, at 2:00 PM EST, my Xavier University Musketeers will take on Duke. Okay, maybe I’m exaggerating just a little, but this really is a huge game for us. Besides playing arguably the best program in the country, Xavier owes a little revenge on the Blue Devils. Duke knocked Xavier out in a nail-biter in our first ever bid to make the Final Four in 2004. We lost 66-63 in an absolute heart-breaker, which most Xavier fans still haven’t gotten over. We also lost to Duke in the second round of the 1987 tournament, 65-60. Although the roster of the Duke Blue Devils is loaded with McDonalds All-Americans, Xavier is filled with Skyline All-Cincinnatians! For those of you not familiar with Cincinnati, Skyline Chili is the national cuisine for Cincinnatians. Ask any ex-pat and chances are they’re craving the Greek-style chili right now. Skyline also happens to be the official sponsor of the "Crosstown Shootout", the annual game between the University of Cincinnati and Xavier University. Since Xavier has already won this year’s game, and has more or less dominated the series in recent years, I have unofficially bestowed upon the team the title of “Skyline All-Cincinnatians” in order to give our guys a little more national recognition and respect. Xavier also has a bit of serendipity working on its side. This past Wednesday (December 17), Duke beat UNC Ashville after a layoff of 11 days for exams. They just missed the century mark by 1 point. Last year, on the exact same date, after a 9 day layoff for exams, Duke scored over 100 points when they beat Albany 111-70. The interesting part about this analysis is that on Duke’s next game, played on December 20 (same day as this years Xavier-Duke game), in New York City (just across the Hudson from East Rutherford), the Blue Devils lost to Pittsburgh, which happens to be the alma-mater of Xavier’s coach, Sean Miller. Moreover, Duke, at the time of their loss to Pitt, was ranked #6. Duke is currently ranked # 6 in both the AP and the USA Today polls. As you can plainly see, the stars are completely aligned for the Musketeers! I’m sorry to say, but Dickie V, Jay Bilas and Billy Packer will be crying in their beer once the final horn blows. Tell me if this makes sense: The Governor of the state of Kentucky, Steve Beshear, is stating that he will be forced to close several state parks unless a new cigarette tax is imposed. The additional revenue from higher tobacco taxes is needed to help offset a projected $456 million state revenue shortfall. The Governor hopes to raise the cigarette tax from 30 cents to $1 per pack. My question is: what is the connection? Why is Mr. Beshear trying to tie-in cigarette taxes with the state’s park system? More importantly, why should cigarette smokers carry the financial burden for Kentucky state parks? Don’t the parks benefit all citizens of Kentucky, as well as visitors from other states? The state of Kentucky already derives tax windfalls from in-state and out-of-state visitors who purchase gas, eat at restaurants, and stay in the hotels and lodges located within and outside of the 52 state parks. If the state decides to go down the path of raising taxes to keep state parks open, why not tax the users and/or beneficiaries of the park system? Or, if you take the view that everyone in the state benefits from parks in one way or another, why not increase the overall state tax? More importantly, why not cut spending. Most government entities engage in excessive and wasteful spending. If we as citizens have to pull our belts a little tighter as a result of this recession, why shouldn’t our governmental bodies have to as well? Let me state right here that I am not a cigarette smoker, nor do I have anyone close to me that smokes. So I’m not trying to defend a very bad habit from a personal perspective. My only point is that we as a nation should not be targeting certain groups to pay for unrelated expenditures. What’s next? Are we going to force chocolate lovers to pay for road repairs? Last day to order with standard shipping for Christmas on Amazon. Amazon continues to have the best deals of the season to help you get your holiday shopping done for much less. The National Park Service will allow weapons to be carried in the Smokies after the overturning of a federal rule restricting weapons in national parks and wildlife refuges. The Park Service confirmed today that the agency will recognize handgun permits from Tennessee and North Carolina, beginning in January. NPS spokesman Bob Miller in Gatlinburg said under current regulations, firearms can be brought into the Great Smoky Mountains National Park only when cased or trigger-locked and left in vehicles. The new regulations will allow people who have valid permits to carry weapons to keep them on their person. The new rules will apply to permits holders from Tennessee, North Carolina and states with which they have reciprocal agreements. What are your thoughts on this? Is this a bad idea, one that will make the park more dangerous? Or, will it provide a degree of protection from bad guys and maybe even bears? From September 2 through October 25 of this year, Sparks Lane in Cades Cove was closed in order to replace two large culverts and improve drainage along the road. Well, with all the rain the region has had over the last couple of days, Sparks Lane is closed - again - due to high water. Additionally, Newfound Gap Road (US-441) is also closed as a result of snow and ice on the roadway. HikingintheSmokys.com is pleased to announce two additional news feeds to our news page. We now are receiving direct feeds from the Great Smoky Mountains National Park website, as well as American Trails, the only nonprofit organization working on behalf of all trail interests across the country. Cades Cove, Dec. 3-4. Park officials recently announced on the park website that the Cades Cove Loop Road is tentatively scheduled to be closed on December 3-4 for hemlock woolly adelgid spraying. Closure dates may be adjusted due to weather. Tomorrow’s weather looks good, but rain and snow are moving in Wednesday night and Thursday. So, this may be postponed. All-Taxa Biodiversity Inventory Conference, Dec. 3-5. Anyone interested in the discovery of new plant and animal life in the on-going species survey in the Smokies is welcome to attend. So far 890 species new to science have been discovered, along with 6,129 species not previously known to dwell in the park. For a more detailed schedule or to register, go to http://www.dlia.org/ or call 865.430.4756 or email at heather@dlia.org. Wilderness First Responder Recertification, Dec. 3-5. This three day scenario-based course is designed as review and practice of evacuation and decision making guidelines and may be used to recertify Wilderness First Responder and Wilderness EMT (wilderness portion only) certifications. Landmark Learning, an outdoor training base-camp in Cullowhee. 828.293.5384 or main@landmarklearning.org. Joyce Kilmer Memorial Forest, Dec. 6. Hike from the picnic area up to Stratton Bald for views of the Slickrock Wilderness Area, Dec. 6. Strenuous, 12.5 miles. Lake James State Park: Call office in Nebo, McDowell County, at 652-5047 or visit www.ncparks.gov. * Wings over the water: Interpretive talk about area's migratory waterfowl, 2 p.m. Dec. 6. Meet at park office. * Winter greens: Guided hike in search of plants that stay green through the winter, 11 a.m. Dec. 6. Meet at park office. Blue Ridge Naturalist Center, Dec. 3 and 10. At UNC Asheville. Geology/meteorology of the Blue Ridge: Discover the interaction between weather and topography, 6:30-9 p.m. Wednesdays, through Dec. 10. $105. Advance register. Call 251-6198 for more information or to register for programs. • Appalachian Trail, Dec. 6. 6-mile moderate hike with a gradual ascent up to the Appalachian Trail from Yellow Patch to Bear Pen to Betty Creek. NHC. 828.524.5298. • Cliffside Vista Trail, Dec. 7. 3-mile hike with an elevation change of 200 feet. NHC. 828.369.6820. • Appalachian Trail, Dec. 13. Moderate to strenuous 9.5 mile hike with elevation change of 300 feet from Deep Gap to Raven Rock on the Appalachian Trail. NHC. 828.586.5723. • Bartram Trail, Dec. 21. 2.5 Easy-to-moderate hike from Wallace Branch and return loop. NHC. 828.369.6820. • Chimney Top Mountain, Dec. 27. Strenuous two-mile hike, elevation gain of 1200 feet in Sapphire. NHC. 828.743.6977. Amazon continues to offer the best deals of the season to help you get your holiday shopping done for much less. Find outstanding bargains on outdoor gear, electronics, toys, video games, books and more! If you've ever been riding down the street and had the cuff of your pants ripped by your old bike chain, there may be a revolution at hand. The Trek Bicycle Company is part of a movement to bury the finger-pinching, pants-munching, grease-laden, rust-prone sprocket and chain, and usher in the era of belt-driven bikes. Wisconsin-based Trek is introducing two models this holiday season that use technology most often found in vehicles like motorcycles and snowmobiles. While some smaller custom bike makers have used them before, Trek will be the first to use the technology in mass-produced bicycles. The nation's largest domestic bike manufacturer is hoping to capitalize on a new group of urban cyclists who are trading their cars for a more low-tech way to get around because of volatile gasoline prices as well as health and environmental concerns. "People are really finding bicycles to be a very simple solution to some very complex problems that they face every day," said Eric Bjorling, Trek's lifestyle brand manager. "Anything we can do in our design to really help them and help them live that lifestyle is probably better for" the consumers and Trek. He said a belt is a low-maintenance solution to a chain, which has roughly 3,000 parts, including links and connectors. Aside from the whisper-quiet ride, the lighter and longer-lasting carbon-fiber composite belts won't rust, can't be cut, won't stretch or slip, and won't leave grease marks around your ankles. A guard over the belt-drive and the construction of the system makes getting your pants stuck an unlikely scenario, Bjorling said. 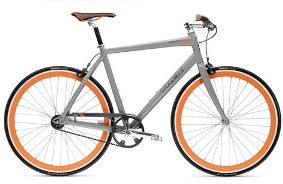 One version of the chainless bike, the District ($930), is a single-speed, complete with a silver body, orange accents and brown leather seat and handles. The other, the Soho ($990), is an eight-speed bike that uses an internal hub to adjust the speed rather than gears. Bjorling admits chain-driven bikes are still more efficient, but said an urban rider won't have to worry about greasing or cleaning the chain. 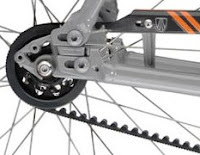 The belt can be cleaned with a normal cleaning agent and rag, and the bike sprocket is designed to push through any snow, dirt or grime. And one belt will typically last three years -- the life span of three chains. It will be interesting to see if Trek or Cannondale will be able to develop this technology for racing bikes. That would be the greatest revolution in bicycle technology since the invention of index shifting. Welcome to Cyber Monday, the kickoff to the online shopping season. Although Black Friday is over, Amazon.com has extended the best deals of the season through Monday to help you get your holiday shopping done for much less. Just over two weeks ago, a group of adventurers began their trek to retrace Ernest Shackleton’s first expedition to the Antarctic in honor of the expedition’s 100th anniversary. Now, a team of descendents from the 1908 expedition, including Patrick Bergel, great-grandson of Ernest Shackleton, are currently in the process of retracing the footsteps of their ancestors in order to finish the job and reach the South Pole. The expedition originally had planned on departing from the Shackleton Hut at Cape Royds at 10am on October 29, 2008, exactly one hundred years to the day when Shackleton and his men set out. However, a storm left them stranded in Puenta Arenas and prevented them from even reaching Antarctica for more than two weeks. Travelling unguided on skis, and hauling their own expedition supplies in sledges, they will cross the Ross Ice Shelf, the Beardmore Glacier, and then 400 miles across the Polar plateau to the South Pole. In total, the Matrix Shackleton Centenary Expedition will travel 900 miles in roughly 80 days. They can expect average temperatures of around -75 degrees, and winds that can regularly reach 120 miles per hour. The expedition is currently crossing the Ross Ice Shelf. 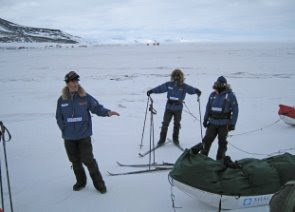 They have traveled a total of 171 nautical miles to date and expect to reach the South Pole sometime in mid-January. Knowing that a rescue wasn’t going to happen, Shackleton made the call to take one of the open lifeboats and cross 800 miles of frigid sea to South Georgia Island where a small whaling station was located. Incredibly, he landed on the wrong side of the island and was forced to trek over the frozen mountains to reach the station. 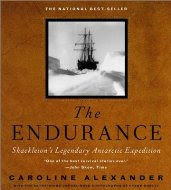 Because this expedition occurred just as World War I was beginning, this amazing story of courage, heroism and survival was largely forgotten until Caroline Alexander published her excellent book, The Endurance: Shackleton's Legendary Antarctic Expedition, about the subject in 1998. If anyone is interested in Arctic exploration or survival stories, I highly recommend this truly riveting book, which chronicles "one of the greatest epics of survival in the annals of exploration." Red Hot Lies: How Global Warming Alarmists Use Threats, Fraud, and Deception to Keep You Misinformed, is the latest book from the author of the New York Times bestselling Politically Incorrect Guide to Global Warming. The book, as you might expect, based on the title alone, runs against the current thought process in the mainstream media. However, this is an important read, especially when you consider the path the world is beginning to walk down. Considering the huge ramifications on the worldwide economy and how we live, it’s extremely important for Americans, and people around the world, to get another view point on global warming and climate change before we begin making consequential decisions. The author, Chris Horner, is an acknowledged expert on global warming legislation and regulation, and has testified before Senate committees and has given numerous addresses in the European Parliament. In Red Hot Lies, Horner details the errors and even frauds committed in the name of global warming, reproducing charts and even photographs that are certainly revealing even to those not passionate about scientific minutiae. The book is a meticulously researched (65 pages of notes and references) volume in which Horner exposes what he calls the hypocrisy, deceit, and outright lies of the global warming alarmists and the compliant media that support them. * Al Gore’s deep financial interests in advancing global warming hysteria around the world. Gore has admitted to having “a stake” in a number of green “investments” and has encouraged people to put money into companies he has a financial stake in. Gore has strongly advocated the use of bio-fuels and has admitted to having investments in companies involved in such agri-business. His investment company also owns major shares of the world’s carbon credits. As countries pass carbon taxes and carbon caps, his investments could eventually make him billions of dollars. * Politicians and the media demand that government "do something about" climate skeptics, while activists go further, calling for imprisonment and censorship of dissenters. * Respected scientists have been victims of threats and vandalism in addition to having their reputations smeared for voicing skepticism about any aspect of the global warming dogma. Some have even been blacklisted. * One scientist at the University of Oslo had the wheels fall off his car, not once, but twice, including while his daughter was in the car after he began speaking out against global warming alarmism. * About 18 months ago, at a Kyoto negotiation in Thailand, China suggested that, because of their family planning policy, they should be given carbon offsets to sell back to Europe and the United States. They made their argument on the basis that their population would be much larger if they hadn’t aborted all of those babies, which would have made their carbon footprint much larger. * Journalists regularly mislead the public by falsely declaring a consensus on manmade global warming that does not exist. In fact, just the other day, a study was published showing that support for global warming initiatives was falling among the 11 countries surveyed. Less than half of the people surveyed, or 47%, said they were prepared to make personal lifestyle changes to reduce carbon emissions, down from 58% last year. Only 37% said they were willing to spend "extra time" on the effort, an eight-point drop. And only one in five respondents - or 20% - said they'd spend extra money to reduce climate change. That's down from 28% a year ago. * The United Kingdom forced schoolchildren to watch Al Gore’s An Inconvenient Truth in schools. Now, half of those children report sleep loss due to fear over "global warming". There are similar efforts underway in California, and it includes what they call pester power and also reporting on their parents. With perfect timing and incredible coincidence, less than a week after Red Hot Lies was released, the London Daily Telegraph reported on November 16 a “surreal scientific blunder” made by Dr. James Hansen, Al Gore’s chief scientific ally. The climatologist had gone on record that last month was the hottest October ever recorded. However, the reason for the freak figures from around the globe based on Dr. Hansen’s readings were not based on October readings, but were figures from the previous month that had simply been carried over and repeated two months running. Dr. Hansen and his institute had to scramble desperately to revise their figures. Great News! Amazon.com has announced that they will be extending their Black Friday deals into today! Amazon will continue offering amazing deals on Saturday to help you get your holiday shopping done for less. As you may have recently heard, Les Stroud, host of the TV show “Survivorman” on the Discovery Channel, announced he will be filming his final adventure in the wild in Papua New Guinea this month. This would wrap up his third and last series as Survivorman, although he does expect the nickname to stick with him as he moves onto other projects. “It takes a lot out of me as I really do what I do for real, with no camera crew, no nights in hotels like others do, and it takes a toll on my body,” Stroud told Rueters. Stroud, 47, just released a new book called “Survive! : Essential Skills and Tactics to Get You Out of Anywhere - Alive“. The book is a practical guide that gives everyday readers a no-nonsense look at the real world of survival. In the book, Stroud offers readers the essential skills and tactics necessary to endure in any corner of the globe, along with a wealth of insider information born of his own experiences in the outdoors. Readers will learn why a lean-to is largely a waste of time, why you should make your own survival kits and why drinking contaminated water is sometimes warranted. Also, just a couple of weeks ago, Stroud released the Survivorman: Collection 2 DVD. This is the full collection of episodes from the second season of the series. As a bonus, the DVD producers also added Stroud’s “Surviving Alaska’ special. It sounds like Stroud is not entirely retiring from TV, however. He mentions that there’s a possibility that he could launch a new TV series in which he would follow in the footsteps of famous explorers. Amazon will have amazing deals today to help you get holiday shopping done for less. Some of the earliest trails in what would become the National Park were simple game trails created by migrating bison, elk, and other large animals. Many of these were later adapted by the Indians in the area. The Cherokee used these established routes for trading with other tribes and for reaching favored hunting grounds. Over the years, with the steady encroachment of white settlers, many of these old Indian trails were converted into stock trails and wagon roads. By the late 1800’s, big lumber companies were converting Indian trails into logging roads and railroads to help with the harvest and transport of timber. A few of these old settler roads eventually became the hiking trails we use today. If you hike along the Old Sugarlands Trail, the Little River Trail or the Miegs Mountain Trail, you’ll be walking on some of the same roads used by the pioneers and homesteaders of this area. Some of the trails we use today were blazed by one pioneer in particular. Another early explorer by the name of Paul Adams is credited with blazing the trail above Alum Cave up to Mount LeConte, as well as for helping to establish the famous lodge atop that same mountain. 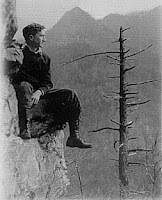 Adams, an avid hiker, joined the Great Smoky Mountain Conservation Association in 1924, a group dedicated to making the Smoky Mountains into a national park. Later that same year, Adams led an expedition to the top of Mount LeConte for the purpose of showing Washington dignitaries the rugged beauty of the Smoky Mountains and to help promote the cause for national park status. The delegation spent the night in a large tent. The following year Adams would build a cabin on that same spot which eventually led to the establishment of the LeConte Lodge. Although many trails in the Smoky Mountains follow all or parts of the routes developed by migrating animals, Indians, pioneers and explorers, the majority of the trails still in use today were developed by the Civilian Conservation Corps (CCC). Some of those trails built by the CCC include Bullhead, Alum Cave, Kephart Prong, Sweat Heifer and Sugarland Mountain. Since the early days of the Park, various hiking clubs have worked to improve the original CCC trails, and in some cases, construct new ones. One of those trails, the granddaddy of all trails, was the Appalachian Trail. The Appalachian Trail, also known as the AT, runs for more than 70 miles through Great Smoky Mountains, entering from the north at Davenport Gap and exiting in the south near Fontana Dam. The highest point anywhere along the 2158 mile trail is at Clingmans Dome (6625 ft.). The trail also passes by other notable landmarks in the Smokies such as Charlies Bunion, Rocky Top and the historic stone fire tower atop Mt. Cammerer. Although the AT was the brainchild of Benton MacKaye, cofounder of The Wilderness Society, it was Harvey Broome and Paul Fink that made it into a reality in the Smokies. Paul Fink, another leader of the movement that led to the founding of the national park, was also instrumental in blazing the AT through the Smokies. Fink was a member of the Board of Managers of the Appalachian Trail from 1925 to 1949 and was the author of “Backpacking Was the Only Way”, an account of early 20th century camping and backpacking adventures in the southern Appalachians. The purpose of the briefing was to get public reaction from the community regarding which method would have the least impact on the visitor and on the neighboring communities. At the meeting, Park officials showed a PowerPoint presentation illustrating the construction method and the various alternatives for road closures. At the request of those in attendance, the Park posted the presentation to the Park website. Right now, the repaving project is scheduled to occur during the first-half of 2010, with full closure of the one-way loop lasting 2 months, or a series of partial closures lasting up to 4 months. The 11-mile, one-way, single lane, Cades Cove Loop Road was last repaved in 1978 and has badly deteriorated into a mass of patches, ruts and potholes. It has very inadequate ditches, culverts and other drainage so that water pools on the road, seeping between the layers then freezing and thawing, further cracking the pavement. The Park plans to completely reconstruct a solid sub-base layer to support the pavement. In addition they plan to create ditches, and add culverts to drain the water off the surface. Unfortunately the project will not address traffic congestion, which, for anyone who is familiar with Cades Cove, is like sitting in rush hour traffic during orange barrel season. It’s especially frustrating for people who simply want to hike one of the trails located off the loop road. The way I see it, there are six things that could be done to ease congestion, some likely to help, some probably impractical. 1) As I mentioned in a previous post, there was an extensive interview with Park Superintendent Dale Ditmanson in the latest issue of Smokies Life Magazine. Mr. Ditmanson acknowledged the heavy traffic problems in Cades Cove. He mentioned using buses as a possible solution, but cited issues with parking as being problematic, i.e., not enough open space in Townsend to create parking lots large enough to handle all of the tourists. 2) Build passing lanes on certain sections of the road. This probably would never happen due to limited space. Moreover, tourists would probably occupy this additional lane for stopping as well. 3) Create a separate bike lane. Again, there may not be enough space to create the width needed for a bike lane. If the loop did have enough space, the question would be would enough people choose to get from behind the wheel and ride to make a difference in traffic. With fresh smooth pavement, I would think that the number of people willing to ride would probably increase, especially people on road bikes. Enough to make an impact on traffic congestion? Probably not. 4) How about stricter enforcement of rules? Technically, it’s against the law for drivers to stop in the middle of the road. What if we had rangers patrolling the most congested sections on horseback to enforce the law and keep traffic moving? Or, what if they started handing out tickets? 5) More signs and better education. What if the park increased the number of signs and did a better job of educating drivers that they cannot stop in the middle of the road? The park should somehow emphasize the importance of having slower drivers pull over to allow others to pass. 6) Stop encouraging people to “auto tour”. The park should stop publishing pamphlets and remove anything from the park website that encourages auto touring. The park should encourage people to get out of their cars, not stay in them. What do you think about these solutions? Do you think any of these would have an impact? Are there any others that I haven’t considered? Why burn gas and fight crowds and traffic at the malls? Enjoy the convenience of shopping from home or work. Just click on the Smoky Mountain Day Hikers Store to find quality hiking gear and apparel from some of the best outdoor brands. We also have a wide variety of books related to hiking and the Smoky Mountains. National Geographic Adventure Magazine has published their annual “Best of Adventure” issue online. One of the articles in this issue listed all of the new and must-have outdoor gear for 2009. The article discussed two new GPS units that highlight how technology continues to evolve and improves our odds of not getting lost. With the state-of-the-art 3D elevation perspective and preloaded topographic map data of the U.S., the rugged Oregon 400t provides all the tools you need for serious climbing, hiking or hunting. This high-sensitivity GPS receiver is preloaded with topographic maps, and features a high-resolution, color 3-inch touchscreen that reacts as you tap or drag through menus and options. With its high-sensitivity, WAAS-enabled GPS receiver and HotFix satellite prediction, Oregon 400t locates your position quickly and precisely and maintains its GPS location even in heavy cover and deep canyons. It's also equipped with a barometric altimeter and electronic compass, and it's compatible with Garmin's heart-rate monitors and speed/cadence sensors. The preloaded U.S. topographic maps, 3D map view and a built-in worldwide basemap with shaded relief give you all the tools for serious climbing or hiking. Map detail includes national, state and local parks and forests, along with terrain contours, elevation information, trails, rivers, lakes and points of interest. In case you're wondering how steep that hill really is, the Oregon's 3D map view helps you visualize your surroundings--giving you a better perspective of the elevation. The Oregon 400t lets you customize five profiles--automotive, marine, recreation, fitness or geocaching--making the most beneficial features for each activity the easiest to access through quick shortcuts. The tough, 3-inch color touchscreen display is easy to read even in direct sunlight, and the Oregon's easy-to-use interface means you'll spend more time enjoying the outdoors and less time searching for information. It also plays well with others, allowing for wireless exchange of tracks, waypoints and geocaches between other Oregon units and Garmin Colorado models. This unit has a built-in electronic compass that provides bearing information even while you're standing still, and its barometric altimeter tracks changes in pressure to pinpoint your precise altitude. You can even use the altimeter to plot barometric pressure over time, which can help you keep an eye on changing weather conditions. Conveniently plug in optional preloaded microSD memory cards for all your outdoor activities on land or water. The card slot is located inside the waterproof battery compartment, so you don't have to worry about getting it wet. Just insert an optional Garmin MapSource card with detailed street maps, and the Oregon provides turn-by-turn directions to your destination. And with optional BlueChart g2 Vision maps, you'll get everything you need for a great day on the water including depth contours, navaids and harbors. Garmin's HotFix capability automatically calculates and stores satellite locations, greatly reducing satellite acquisition time so that you can turn the unit on and get going. Geocaching is even easier with the Oregon, which quickly downloads online information for every cache, such as location, terrain, difficulty, hints and description, so that you don't have to tote printouts with you. Small and lightweight, the Suunto X10M wrist-top computer watch combines an altimeter, barometer, compass, and GPS navigator, making it a terrific companion for outdoor enthusiasts of all stripes. The X10M--which builds on Suunto's decade of experience in creating cutting-edge outdoor devices--stands above most other wrist-top computers thanks to its improved, faster GPS fixes. Even under heavy foliage, you can use the X10M to plot your treks, navigate to a certain spot, or get back to your car, all while keeping your hands free to hold a hiking stick or water bottle. Once back at home, you can share your treks on Google Earth, or use the Suunto Trek Manager PC software to create new routes and plan new journeys. The Suunto X10M also includes a built-in altimeter, which displays your current altitude and your vertical ascent and descent rate. Accurate up to 30,000 feet, the altimeter is an extremely valuable tool for mountaineering, backcountry skiing, and wilderness travel. The altimeter contributes to your excursion in several ways. If you're standing on or near an obvious geographic feature, such as a ridge, trail, or creek, the altimeter can alert you to your current elevation and help you find your position on a topographic map. Similarly, if you plan on climbing a slope to a certain elevation and then traversing, the X10M can help you stay on course. And, of course, the X10M captures all your altitude information in its integrated logbook, making it easy to analyze your performance when creating a training routine. The X10M's barometer, meanwhile, measures and records air pressure to help you predict changing conditions--from sunny skies to hair-bending electrical storms. The barometer helps you decide whether to bring a soft shell or rain shell jacket when the skies look ominous, or even when to high-tail it back to the car. In general, low pressure brings inclement weather, while high pressure brings stability and clear skies. If you've arrived at camp and notice the pressure starting to plunge, it's probably a good idea to secure the tent and crawl in. Likewise, if you're on a climb, it would be prudent to find shelter and retreat. Even at home, the X10M's barometer can look beyond office walls, skyscrapers, and nearby hills to help you plan for upcoming activities. And no outdoor watch is worth its salt without a digital compass, a great tool for keeping track of your direction while skiing, hiking, or exploring a new city. Simply point the top of the watch toward your intended destination and lock it in. Other features include an Activity Mode that records your speed, distance, and altitude information, along with any memory points you define along the way; a Track Back mode that guides you back the same way you came; a long-lasting battery; up to 50 routes, 25 tracks, and 500 waypoints; water-resistance up to 330 feet; and all the standard watch functions, including a 12/24-hour display, a stopwatch, a calendar clock, and three daily alarms. 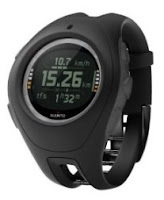 As with all Suunto wrist-top computers, the X10M carries a two-year warranty. If you would like more information on either of these products, or would like to see our full line of GPS, hiking gear and apparel products, please click here. While I was researching my article on Peter Barr’s new book, Hiking North Carolina's Lookout Towers, I discovered that there’s some uncertainty about the future of the Shuckstack Lookout Tower located in the southwestern corner of Great Smoky Mountains National Park. Built in 1934 by the CCC, the tower overlooks the Smokies, Unicoi, Snowbird, Nantahala, and Blue Ridge Mountains. It also offers spectacular views of Fontana Dam. These days the Shuckstack tower has fallen into disrepair. Several loose steps and a missing railing make the 60-foot climb a little frightening, and those who reach its top find holes and a partially rotted floor. Obviously, the steel tower is in desperate need of restoration. In order to preserve the tower, Mr. Barr is encouraging people to write letters to Park Superintendent, Dale Mitmason. You can find more information on this campaign by following this link. What are your thought on this? Is this a piece of history that should be preserved, or is it an eyesore that should be removed in order to return the mountain to its natural state? The last of the seasonal road closing for Great Smoky Mountains National Park will be occurring over the next several days. A few early snow and ice events have already temporarily closed Clingmans Dome Road on a couple of occasions in recent weeks. In fact, the road continues to be closed since last Saturday’s snow storm. With up to four more inches of snow predicted for today, I wouldn’t be surprised if the road remains closed for the rest of the season. Officially, on December 1, the road will close for the winter. This will impact several trails along the road, including; Road Prong, Spruce-Fir, Sugarland Mountain, Fork Ridge, Noland Divide, Forney Creek, and Forney Ridge (Andrews Bald) trails. Roaring Fork Motor Nature Trail will also be closing on December 1. Trails impacted by this road closing include; Trillium Gap, Grapeyard Ridge, and Baskins Creek Trail. The last road to shut-down for the season will be the Little Greenbrier Road, which will be closed on January 1. This closing will impact the Little Brier Gap Trail. Of course all of the trails mentioned above will continue to be open but you may have problems reaching these particular trailheads. You should also note that Great Smoky Mountains National Park officials recently announced on the park website that the Cades Cove Loop Road is tentatively scheduled to be closed on December 3-4 for hemlock woolly adelgid spraying. Closure dates may be adjusted due to weather. One final closing hikers should be aware of is with regards to the Mt. LeConte Lodge. The Lodge will close for the season on November 26. Try A Tri, Nov. 20. The program provides training to those wanting to complete their first triathlon. The basic spring package moves athletes toward completing either the Valdese Triathlon or Haymed.Org Triathlon, which both take place in April. The programs begin Jan. 1. Information session at 7 p.m. Nov. 20 at the Asheville Racquet Club on Hendersonville Road. Call Greg Duff at 400-5868 or visit www.gloryhoundevents.com. Wilderness First Responder Recertification, Nov. 21-23, Dec. 3-5. This three day scenario-based course is designed as review and practice of evacuation and decision making guidelines and may be used to recertify Wilderness First Responder and Wilderness EMT (wilderness portion only) certifications. Landmark Learning, an outdoor training base-camp, in Cullowhee. 828.293.5384 or main@landmarklearning.org. Devil’s Britches Loop, Nov. 22. Guided hike sponsored by the Southern Appalachian Highlands Conservancy on the Devil's Britches Trail at Cataloochee Ranch, easy to moderate difficulty, 10 a.m. Nov. 22, Haw Creek. Hike leader is Judy Coker, board member and member of SAHC, and a co-owner of Cataloochee Ranch. Call 828-253-0095, ext. 205. Mountains-to-Sea Trail workday, Nov. 22. Carolina Mountain Club will hold a Mountains-to-Sea Trail workday on Nov. 22. Meet at 9 a.m. at the Moose Cafe, Parkway Maintenance Office, Balsam Gap intersection with Rt. 74/23 south of Waynesville at 9:30 or Scott Creek O/L BRP mile marker 449 for car pooling. www.carolinamtnclub.com. 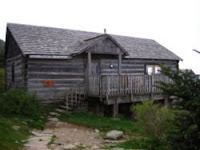 Smoky Mountains Hiking Club, various hikes. Members of the Smoky Mountains Hiking Club will lead hikes to Hatcher Mountain and Little Bottoms on Nov. 23; Cove Mountain and Laurel Falls Trails on Nov. 28; and Big Stone Door on Nov. 30. www.smhclub.org. French Broad River clean-up, Nov. 23. Diamond Brand Outdoors is partnering with Riverlink to help clean a section of the French Broad River on Sunday. 23. Volunteers will be needed for the clean-up event. Those interested in lending a hand may meet in the parking lot of the Ledges Whitewater Park at the intersection of Riverside Drive and Goldview Road at noon. Trash bags, pickers and gloves will be provided for all. It is suggested that those interested in volunteering wear long sleeves and long pants, bring water and be aware that there is no restroom available at Ledges Park and they should plan accordingly. For more information, contact James at Diamond Brand’s Asheville Store by calling 251-4668. Hiking North Carolina's Lookout Towers, Nov. 24. 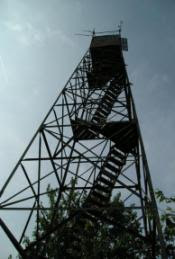 Join CMC member Peter Barr at the Henderson County Public Library at 4:00pm on Monday, Nov. 24 for a 45 minute presentation on North Carolina lookout towers. Peter will discuss his new book Hiking North Carolina's Lookout Towers and talk about the hiking, history, and preservation of western NC fire towers, including Shuckstack Tower in the Smokies. He'll also introduce the club's newest challenge program, the Lookout Tower Challenge. Henderson County Public Library, 301 N. Washington St., Hendersonville, NC 28739, (828) 697-4725. THE GOBBLER: Season-end mountain bike race celebration, Nov. 29 and 30. Headwaters Outfitters Adventure Village, 15 Adventure Ridge Road, Brevard. Dual slalom race, night XC race and downhill race. Register at www.active.com or visit www.jandwevents.com for more details. $35 one event, $65 two events or $85 three events. All-Taxa Biodiversity Inventory Conference, Dec. 3-5. Anyone interested in the discovery of new plant and animal life in the on-going species survey in the Smokies is welcome to attend. So far 890 species new to science have been discovered, along with 6,129 species not previously known to dwell in the park. For a more detailed schedule or to register, go to www.dlia.org or call 865.430.4756 or email at heather@dlia.org. Peter Barr has combined his love of fire towers and his passion for the outdoors into a historical/hiking guidebook to the lookout towers of western North Carolina. Hiking North Carolina's Lookout Towers describes the natural and cultural history for 26 fire lookout towers in the Nantahala National Forest, Great Smoky Mountains, Central Highlands, Blue Ridge and Black Mountains of North Carolina. Among the towers discussed in the book are Shuckstack, Wayah Bald, Clingmans Dome, Mt. Cammerer, Mt. Sterling and Mt. Mitchell. Published in April, the author provides a historical backdrop for each of the towers and the mountains on which they stand. Readers will also find descriptions of what can be seen from the towers, driving directions, as well as detailed hiking routes of varying length and difficulty to reach each of the historic lookouts. You can even read interviews from past watchmen of some of the towers. The book includes over 30 maps and 40 photographs as well as listings of the towers that have been removed or restricted in western NC. 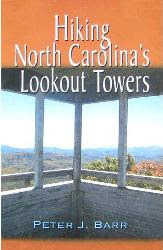 Also included in the book is information on the “Lookout Tower Challenge”, a hiking based challenge program co-administered by the NC Chapter of the Forest Fire Lookout Association and the Carolina Mountain Club. With the book’s special emphasis on lookout preservation and restoration, Barr hopes to spur interest in the towers and their upkeep and rehabilitation throughout the state. Peter brings out the plight of the abandoned historic structures and makes a plea for help in saving them. Lookout towers were built to safeguard forests by reporting fires in isolated areas. For many years they remained the primary source of fire reporting until aerial detection, satellite and cell phones provided faster and more practical methods. In recent years, many prominent landmarks have disappeared or have badly deteriorated. Since most lookouts are no longer in use, funding for their upkeep is no longer available in many cases. As a result, many towers have been dismantled due to poor structural condition or liability concerns by the agencies that own and administer them. About a third of the lookouts that once stood in North Carolina are gone. The author is actively trying to save the remaining towers through his association and by promotion of his book. In addition to being director of the North Carolina chapter of the Forest Fire Lookout Association, a group of enthusiasts who restore and protect lookout towers nationwide, Barr is also a member of the Carolina Mountain Club. He’s climbed the “Southeastern Highest 100” and “North Carolina Highest 100” summits, one of only two people to have ever completed these peak lists. He’s also summited every southeastern peak over 5,000 feet, becoming the first person to ever do so, and has reached the highest point in over 80 North Carolina counties. His next goal, hiking all 900 miles of trails in the Great Smoky Mountains National Park, is nearly complete. Hiking North Carolina's Lookout Towers is a must read for fire lookout enthusiasts or anyone interested in learning more about them or hiking in Western North Carolina. I want to give Smoky Scout (see interview) a shout-out for giving me a heads-up on this book. You can check out her website as she hikes all the trails in the Smokies to raise money for the Girl Scouts. If you like more information or would like to purchase Hiking North Carolina's Lookout Towers, please click here. If you're interested in seeing our full selection of outdoor and hiking related books, please visit: The Smoky Mountain Day Hikers Store.